The Chelsea Long Sleeve Underscrub Knit Tee Offers A Contemporary Fit. Featured Is A Scoop Neck. 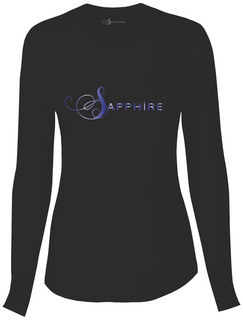 A Sapphire Logo Metallic Foil Print And A Shirttail Hemline Complete This Underscrub. Center Back Length: 26".